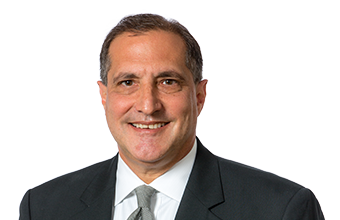 Harold Zuckerman is an experienced trial lawyer whose practice is focused on business litigation with an emphasis on product liability defense. He has actively participated in numerous jury trials in state and federal courts in Oklahoma, Arkansas, Florida and Pennsylvania for manufacturers and has defended product liability matters throughout the region. Harold is particularly regarded for his expertise in taking and defending depositions of plaintiffs and expert witnesses, as well as taking the depositions of fact witnesses, law enforcement personnel and medical witnesses in products liability cases for Ford and General Motors as well as many other automotive manufacturers. He has also taken and defended depositions on behalf of major national pharmaceutical companies. Harold’s litigation experience includes representing companies and individuals in cases involving wrongful death as well as serious catastrophic injuries, defending numerous national insurance companies in cases involving allegations of bad faith, and representing clients in cases involving wrongful termination. 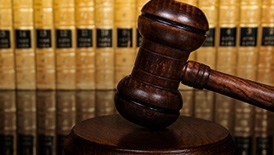 He has also tried cases involving the alleged wrongful dispensing of drugs by pharmacies as well as dozens of premises liability lawsuits for large retail chains and grocery stores. As part of premises liability practice, he counsels clients on safety measures and has assisted numerous companies in preparing policy and procedure manuals specifically related to the safety of customers as well as employees. His achievements as a trial lawyer have earned him inclusion in The Best Lawyers in America (commercial litigation) and Oklahoma Super Lawyers. Successfully defended a refinery facility in a multi-week jury trial in federal court against mass tort claims of personal and property damage and nuisance allegedly resulting from refinery emissions. The verdict, which awarded each of the 20 plaintiffs $1 on the nuisance claim only, was named the National Law Journal’s 1996 Defense Verdict of the Year. Another 140 plaintiffs who were scheduled for trial subsequently dismissed their actions as a result of the verdict. Obtained several declaratory judgments of no insurance coverage for insurance companies involving arson and various policy provisions, including who was an insured and other insurance type clauses. Obtained defense verdict in Mayes County, Oklahoma, in favor of a loss prevention investigator who was an employee of a shoe retailer in a case involving allegations of wrongful termination, kidnapping, false imprisonment, coercion into signing documents under false pretenses, and falsely procuring a person’s signature. Obtained a defense verdict for an insurance company in a bad faith case involving arson. Successfully represented a bank accused of gross negligence when a customer was shot during a robbery. Obtained a favorable verdict in a case for a retail business where there security guard was accused of assault and battery. Obtained a favorable verdict in a case where a pharmacy was accused of dispensing the wrong medication. Obtained a defense verdict in a trucking accident where the company was accused of gross negligence. Assisted in obtaining a defense verdict on behalf of an automotive manufacturer in a products liability action. Successfully represented the manufacturer of circuit breakers and circuit breaker panels in cases involving residential and commercial fires. Successfully represented the manufacturer of an air conditioning disconnect in a case involving a residential fire. Successfully represented the manufacturer of an electrical junction box in a case involving a residential fire. Successfully defended the manufacturer of electrical components in a breach of action lawsuit brought by a supplier. Obtained a defense verdict for an automotive manufacturer in a breach of warranty lawsuit. Obtained numerous defense or favorable verdicts in premises liability cases. Obtained numerous defense or favorable verdicts in vehicle negligence cases. Successfully represented fast food restaurants in cases involving the alleged consumption of adulterated food. Obtained a defense verdict in a case involving the construction of a commercial building which allegedly caused injury to a customer. Successfully defended cases involving the design and construction of commercial properties which allegedly resulted in property damage and/or personal injury. Obtained several favorable and defense verdicts in landlord-tenant actions. Successfully represented several restaurants and bars in dramshop lawsuits. Successfully defended the manufacturer of a conveyor belt in a products liability lawsuit. Successfully defended the manufacturer of glass bowls in a products liability lawsuit. Successfully defended the premises owner and manufacturer of window glass in a products liability and negligence lawsuit. Successfully defended a commercial electrical equipment company accused of negligence when a backhoe operator was electrocuted. Successfully defended the manufacturer of a fire suppression system in a commercial fire lawsuit. Successfully defended an oilfield worker accused of negligence in an oilfield explosion. Successfully defended a commercial cleaning business accused of gross negligence in a wrongful death case. Successfully represented several companies in wrongful death actions. Obtained a defense verdict on behalf of a property owner and manufacturer of a fireplace in products liability and negligence lawsuit. Successfully defended a company in breach of contract case involving commercial building materials. Successfully defended companies and property owners in several cases involving motor vehicles versus livestock accidents. Successfully defended the property owner and manufacturer of a bench swing in a products liability and negligence lawsuit. Successfully defended various companies in asbestos lawsuits. Successfully defended companies in cases involving forklift accidents and other similar warehouse equipment accidents. Successfully defended general contractors in cases involving property damage and personal injury. Successfully defended a company in a case where they were sued by an employee accused of, and arrested for, embezzlement. Acted as national counsel for large home improvement company overseeing all in-suit cases as well as directing trial activities.